Have you customized your WordPress theme and a new update gets released? You can update WordPress theme manually using the FTP. Most of the web designers try their best to customize a theme for their blog and then a new update comes on the market. During such situation, they need to update WordPress theme manually without losing customization. I mean who want to lose the whole design just for an update? So here I am with the solution. You would be able to update the theme and still with all the same design. Though you have to do a little bit of work still, it would be worth. Many people ask that if you have worked so hard to design your theme then why would you update it to its latest version? You may lose the customization. Well, they should know that they can update WordPress theme manually using the FTP server with Filezilla or any other too. We recommend Filezilla because it’s free and easy to use. 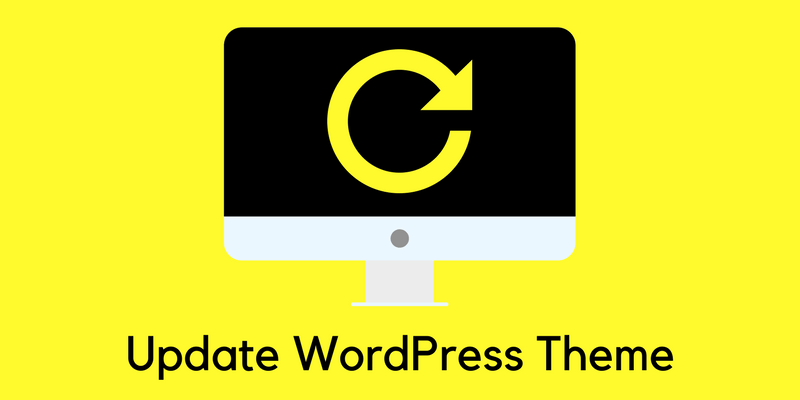 Before starting the process, you should backup WordPress theme. There are a few steps to follow and within a few minutes, you will have an updated version of the WordPress theme on your website. Step 1:- Download the WordPress theme from the “wp-content/themes” folder to your computer. You can use the cPanel or the FTP to download the theme. Step 2:- Download the latest version of the theme from the theme’s website. You will have to extract the zip file of both the themes to your local computer. Now if you remember the changes you have made in your theme then you can do the same in the file of your new theme. But it’s not possible to remember all the changes. So you have to compare the files of both the WordPress themes. Step 3:- Now download and install the file comparing software called “WinMerge” which would help you to compare the files of your current theme and the latest version of the theme. Step 4:- Open the software and click on the files>>open and a box will appear to you. From which there will be two fields to choose the location of both the files you want to compare. For the “left” option, you can choose the file for the customized theme and for the “right” option, choose the latest version of the theme. If you have the subfolders in the file then choose the “Include Subfolders” option otherwise no need. Click on the “Ok” button. Step 5:- You will notice that in front of the files, a comparison result will be shown both for the identical files and different files. You have to check the different files just by opening the files. Step 6:- The files for both the themes will open on the left and the right side. You can know the changes you have made in your old theme and copy and paste the code from left side to the right side. It is dependent on in which side you have opened the latest version of the theme. Step 7:- After doing the changes, you can save the files. Just go to files>>save left/save right. Save the file of the updated version. Do it for all the different files. Step 8:- After all the copy and pasting process, you will a get an updated version with all the old customization. Create a zip file and upload it to the “wp-content/themes/” folder. Congratulations, you are running the latest version of the WordPress theme with the same design of your website. People fret to update WordPress Theme manually but they should know this is the best way to update a theme without losing customization. It’s always good to get the results you want. We all want to see the well-designed website with the latest version of WordPress theme. It’s always recommended to update WordPress, plugins, and themes. It’s because of the WordPress security. You won’t like your website hacked by someone. I know the problem occurs when you afraid to lose the customization you did in the old theme. As I have mentioned above, you can update WordPress theme manually within no time. Just follow the steps and a new version of the theme will be running on your website. If you still face any problem then feel free to ask. How To Do SEO Data Transfer When You Change Your Theme? I have had this problem many times, because believe me or not I have changed more then 30 themes at my blog, and most of the times this freaking error appeared. Thanks to this I know how to handle it. Maybe you haven’t got it right. We are not talking about any error here. It’s about updating the theme keeping your manual changes as it is. I know it’s hard to change the theme when you have the fear to lose the customization. The method I have mentioned above can help you to keep the changes. I say this being a non-techie, and I rarely play with the panels or codes – all that is the department of my better half, my admin! He usually takes care of all such details and does a good job out of it, and yes, customizing and updating themes may take a while, but the end results are always good. There is nothing much to do. Just the use of a simple code comparing software and do the changes in the new file of the theme. Though sometimes, it’s hard for the non-techie people but still, if you follow the steps then you can do that within a few minutes. But if don’t have any knowledge about the codes then it would be better to take someone’s help. When you try to update your theme then you would lose the customization. So, it’s important to know this method because you won’t like to lose the hard work you did for the theme customization. Im sure even the non techie person will find it very easy to apply these tips as you made so simple and comprehensive. However, ever since I started blogging, I’ve never had an issue after updating my theme automatically, although that might have happened before, but I honestly can not remember having such experience. I’m really not a techie person, and like Harleena, I hardly even visit the backend of my website (the ftp) as I also have someone who takes good care of that side. But I also know it’s important to always know a thing or two about those techie stuffs, but if we can get someone to handle them, I think we are also safe right? But that being said, I’m going to bookmark this post as I’m sure it might come out handy someday;who knows, I might have the problem and this post will come to my rescue. Thanks a lot for sharing such a comprehensive and informative post Ravi, and do enjoy the remaining of your week.